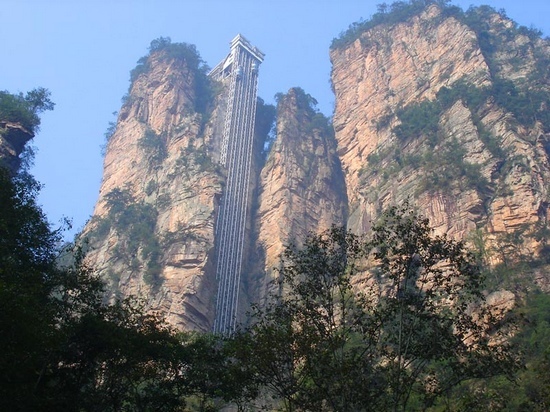 Zhangjiajie Bailong Elevator (Chinese百龙电梯), is a glass elevator built on the side of a huge rock in the Wulingyuan in Zhangjiajie, China,1070 ft (330m) high. 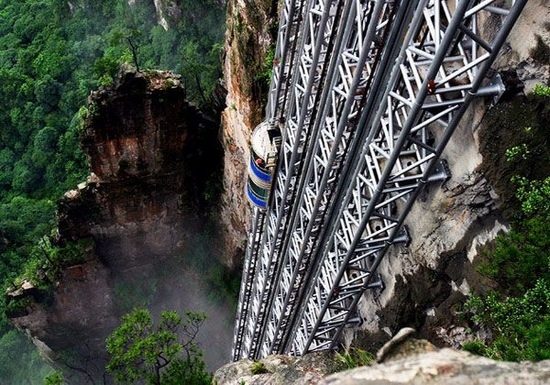 The construction of the Bailong lift began in October 1999, and was open to the public in 2002. 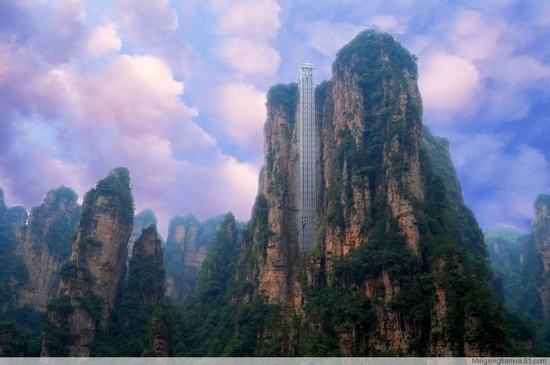 Claimed to be the world’s tallest glass elevator, Bailong Elevator is built onto the side of a huge cliff in Zhangjiajie and takes you a whopping 1,070 feet high. 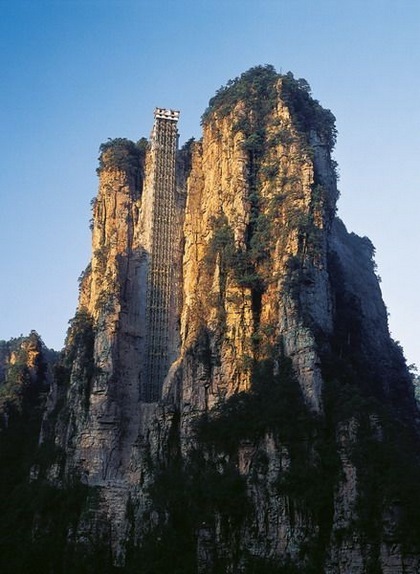 It is the highest outdoor elevator in the world and it has three Guinness world Records: World’s tallest full-exposure outdoor elevator, world’s tallest double-deck sightseeing elevator and world’s fastest passenger traffic elevator with biggest carrying capacity. 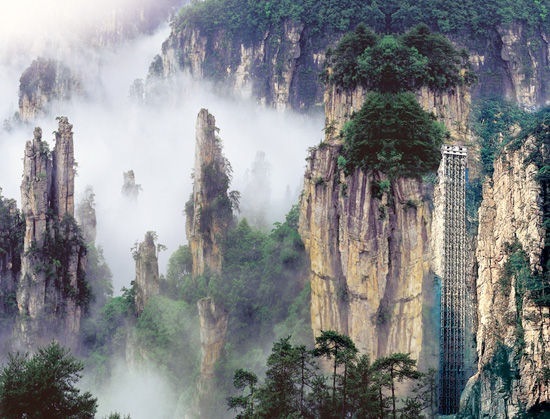 However, due to the potential harm caused to the surrounding landscape, its future remains uncertain. The article above can be read it its entirety here.